Born in Conegliano (Treviso) in 1968, Galifi specialized in classics at high school before graduating in Preservation of Cultural Heritage at the Uni- versity of Udine. 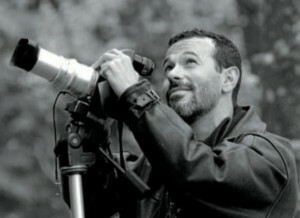 In 1993 he began working in a photography studio, where he developed a passion for landscapes. In the following years, he perfected his technique, self-taught, working with a Hasselblad until 2008, when he decided to move over to digital photography. Francesco Galifi photographs landscapes and architecture, as well as 95 shooting advertising and industrial materials. He works actively with a number of major vineyards among the hills of the prosecco region, and with many companies operating in the industrial and architectural sectors. He also works for several public bodies in the province of Treviso, producing pictures and photographic services to promote the area. His education in the classics and good knowledge of art history have con- tributed significantly to the formation of his artistic personality. Indeed, the inspiration for his photographs is drawn from the fine art world, with par- ticular references to Flemish art, Venetian Renaissance paintings, especially Giorgione, and the impressionists. Galifi strives to reflect the more emotional aspect inherent to the natural environment, and his photography focuses on a meticulous search for bal- ance between light, form and colour. He is a keen and passionate observer of his region, and has made a fundamental contribution to promoting the valuable landscape of the hills around Conegliano, and in particular the upper marchlands of Treviso, also creating a major archive of pictures of this area, famous throughout the world for the production of prosecco.